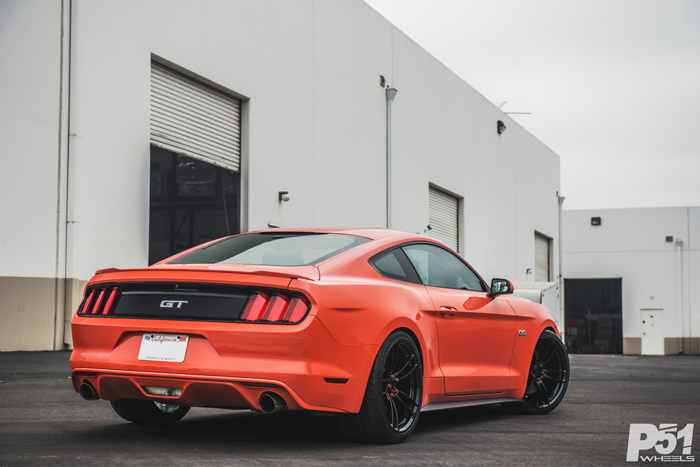 Our first P51 Wheels member, Ed Mayapis, rocks the 101RF on his 2015 Ford Mustang GT 5.0 in Competition Orange. 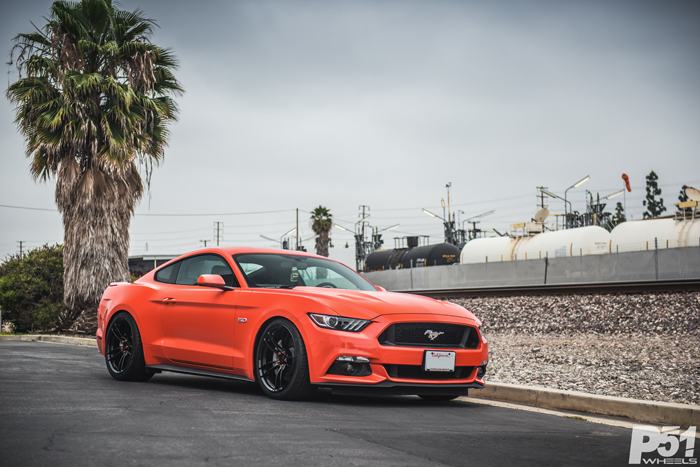 Already packed with power from factory, Ed has quickly turned this stallion into a beast. 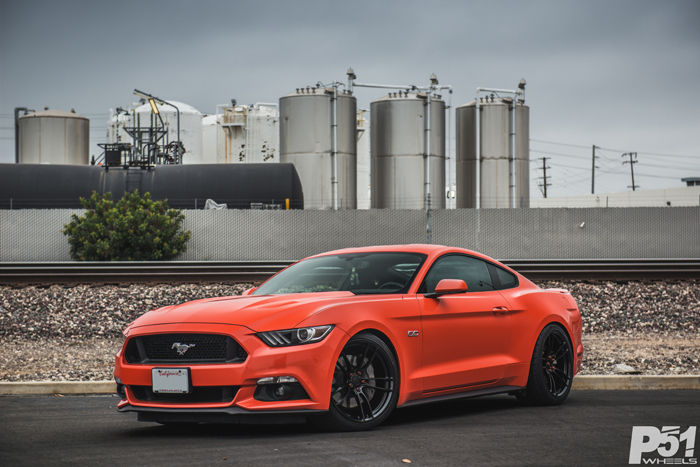 The Mustang has completed almost every bolt-on modifications you can think of; a JLT cold air intake, Stainless Works 1 7/8″ stainless catted long tube headers, and a Works 3′ dual catback exhaust. 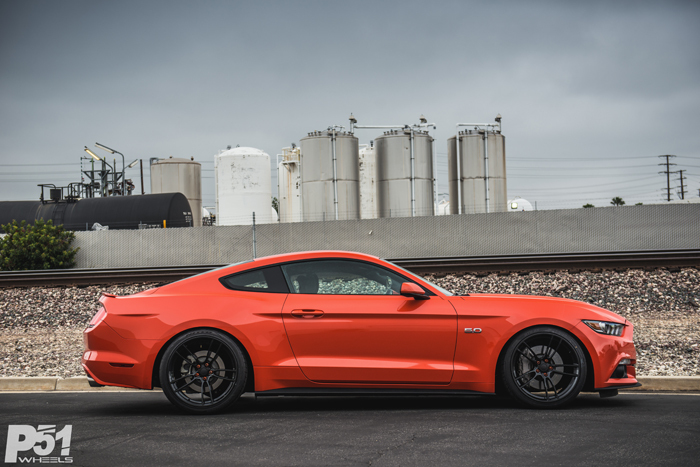 Aside from the performance modifications that has been done to the Mustang, Ed has made the necessary modifications to the suspension to ensure the best drivability and handling that this new S550 chassis. 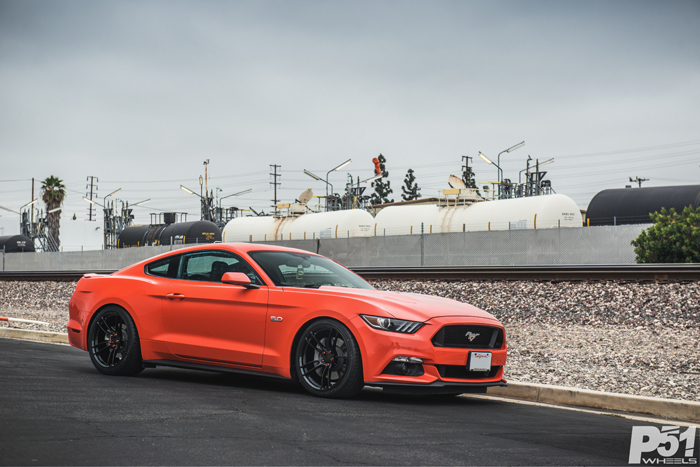 Rockig a set of BC Racing BR Series Coilovers, Edward has done the full works with BMR’s suspension package replacing the factory control arms, bushings, swaybars, and endlinks to provide a more confident road feel and precise handling characteristics just like the P-51 Mustang. To bring the build all together, Ed has opted to run the newest 101RF in the standard Gloss Black finish. 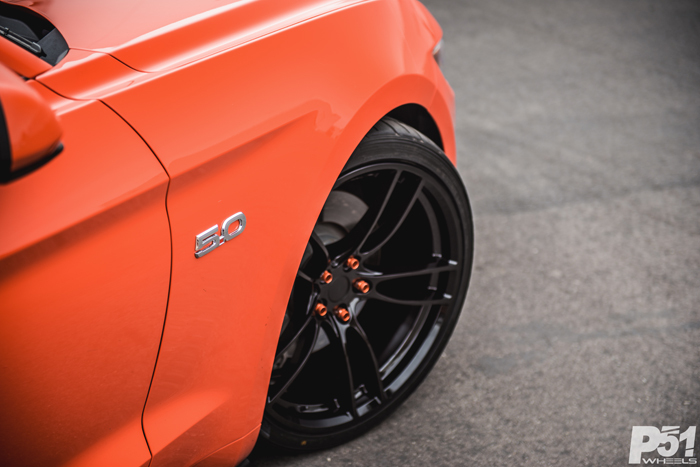 The 101RF features a split 5-spoke design with rotary forging construction giving them the lightest wheels he’s ever ran. 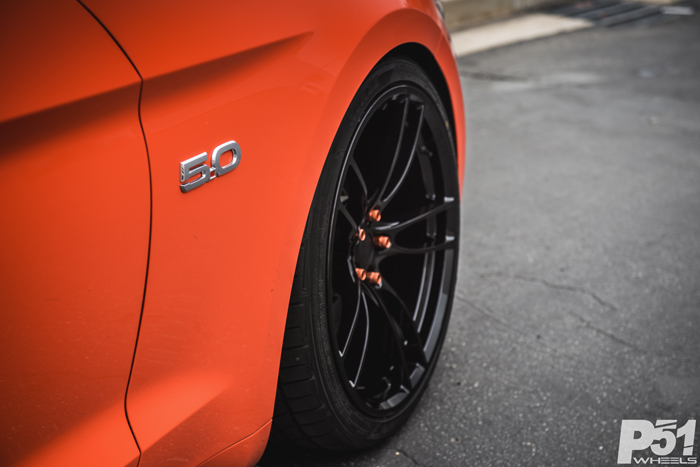 Making the perfect combination, the 101RF compliments the Mustang’s accentuated features, while adding a classy and modern wheel design.